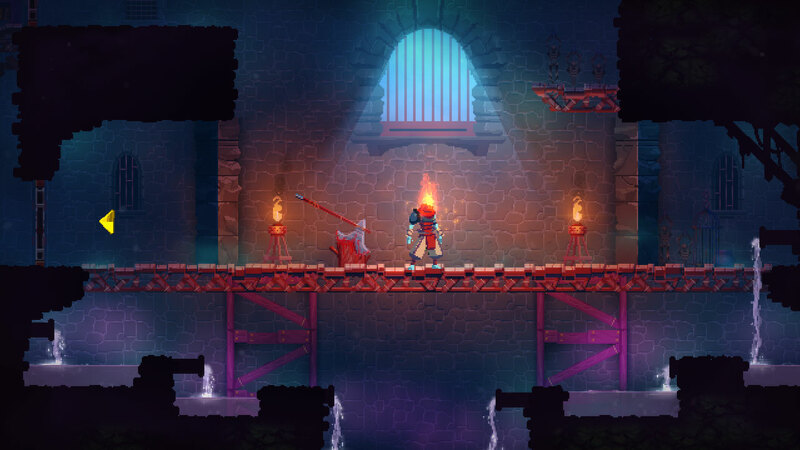 Prior to this Dead Cells review on PS4, I picked up Dead Cells in Early Access via Steam. Even at that early stage, I could tell there was something special about it. The responsiveness of the controls, the variety of weapons and the meaningful upgrades in every run; the finished product truly does justice to the promise of Dead Cells early impressions. Publisher and Developer Motion Twin has a lot to be proud of with this one. This side-scrolling action game encourages speed and tactical awareness. Coming with hard-hitting enemies that telegraph their attacks clearly. Plus, rewards offered to players that can reach the next stage within a certain amount of time. When it comes to run-based games like this; the gameplay is paramount. I’m happy to say that Dead Cells excels in that department along with its hypnotic musical score and gritty, well-worn aesthetic. How does Dead Cells play? Check out the video review on our YouTube Channel above! Don’t forget to Subscribe! It’d be easy to dismiss Dead Cells as “just another rogue-lite” if all you’ve ever done is watch it. Actively playing Dead Cells is what makes it click. You play an amorphous blob that inhabits a different body on every run, traversing a series of levels filled with various enemies on your way to accomplishing a very unclear goal. The gameplay itself consists of an evolving set of movement mechanics and a huge variety of weapons, shields and skills to unlock. For example, in the beginning, your character can run, attack using one of four slots – each assigned to a button – and do a downward smash (which is an excellent addition). Throughout the course of a few runs, you’ll likely unlock a permanent upgrade rune that opens up your movement options, such as tickling a bunch of green cells to create a vine you can climb, or the wall-climb rune that can result in some awesome downward smash-dodge-slash combinations that have made up the most satisfying moment of my personal time. Defeated enemies often drop cells; big blue upgrade orbs used at the restroom found between each combat level. These cells can be used to unlock new items – one of which will drop for you immediately upon first unlock – or new mutations, as well as the few permanent upgrades to, say, your health potion flash (which begins with one use and maxes out at four). Unlocked items can then be found at random throughout the game. Blue cells can also be invested in another machine after boss fights, which increases the quality of item drops (labelled +, ++ and S). It takes a hefty amount of cells to upgrade this particular machine, but it’s absolutely worth it. One of the many highlights of Dead Cells is its vast array of offensive options. Basic slash weapons with damage modifiers based on combo number or positioning. Blood swords that cause bleeding damage. Thrown “Fire Brands” that light up an area and do damage over time, freezing enemies in place, poison damage. All of which can be stacked and taken advantage of via the special perks on your weaponry. The two main slots are reserved for main weapons with no cool-down. The two secondary slots have cool-downs but consist of a different set of items such as various traps, grenades and one-time use tonics. I find them useful for guaranteeing special damage such as fire stacks or freezing the enemy. Some of them, like the high-level heavy turret, are just beasts of engineering that obliterate enemies regardless. As for the perks, these can be found as drops or purchased in shops. With them, there are so many ways to “build” your character. For instance, if your preferred weapon drops and happens to have “150% damage vs burning enemies”, you’ll likely want a Fire Grenade in a secondary slot to start you off and then go in for the kill with your buffed weapon. There are numerous combinations that’d take even longer than I already have to describe. But trust me when I say it’s incredible when you line up your preferences and deal that massive damage to swarms of enemies. Dead Cells can make you feel like the weakest link or the godliest of gods in the space of a single run. Decent weapons aren’t enough to survive, however. Each item has a colour which determines its damage based on the level of the three upgrade tiers: Brutality, Tactics and Survival. Brute force weapons like torches, swords and the like tend to fall under Brutality, whilst Bows and such tend to fall under Tactics. Shields typically fall under Survival and the secondary items vary greatly. To level up, the player will find a tube in their run – usually multiple per stage – that holds a level up scroll. There, the player decides between the three upgrades – the lower the upgrade level of the three, the higher the health increase it’ll give, but each level guarantees a 15% damage increase to items of that type. So while a beginner might think that 60% more health is worth choosing Survival, their Brutality weapons won’t be getting stronger any time soon as a result. It creates an interesting conflict for all beginners and I love the initial tension of realising that and making that decision in my early hours of Dead Cells. Add all of the above to the tense boss fights and Dead Cells demands one more run out of the player every time. That’s not even touching on the Cursed Chests, the hidden rooms and the timed doors that offer great rewards and encourage speed runs. 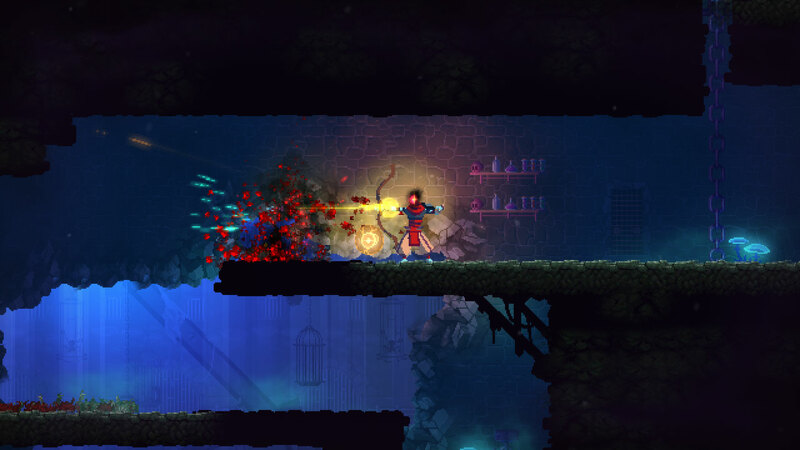 There’s just so much depth to Dead Cells and it feels so fluid. The responsiveness of the controls is magical and the dodge roll is generous without making you feel invincible. It’s just a joy to play. Dead Cells presents itself very well. Accompanying its Gothic aesthetic is a hypnotic soundtrack that lends itself to repetition. Which is important, given how many times you’ll be seeing the same sections of the game death after death. The attack animations of the player character and enemies both have very clear visual cues without being distracting. Dead Cells does a great job of informing you of when you’re in danger and the tide of battle is in your favour with its myriad of distinct effects. Ultimately, I enjoyed being in this gritty world that details its levels so well. It’s not as impressive as, say, Enter the Gungeon(My Review) in terms of dedication to its theme. But it doesn’t skimp on seamlessly helping you understand why you’re sloshing your way through the sewers or climbing the Clock Tower on your way to the climactic finish. 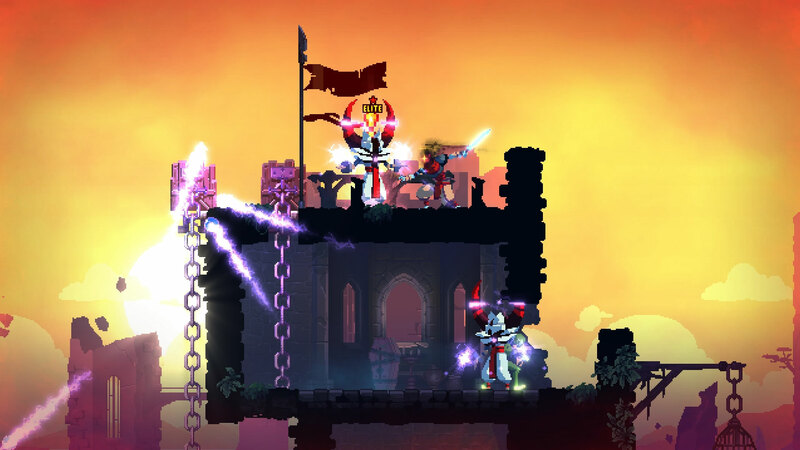 Dead Cells consists of one type of game mode and we’ve covered that extensively already. It does, however, offer “Daily Challenges” on the title screen. Daily Challenges limit the player to one of two weapons at first and starts a countdown. Within the time limit, players must defeat the boss of the area, all the while trying to achieve the highest score possible by defeating other enemies along the way. Mainly you’ll be enjoying the runs until you die next. As simple as that might be, it’s incredibly addictive, with the need for “just one more run!” gripping me at every attempt to set down the controller in frustration after a boss fight. 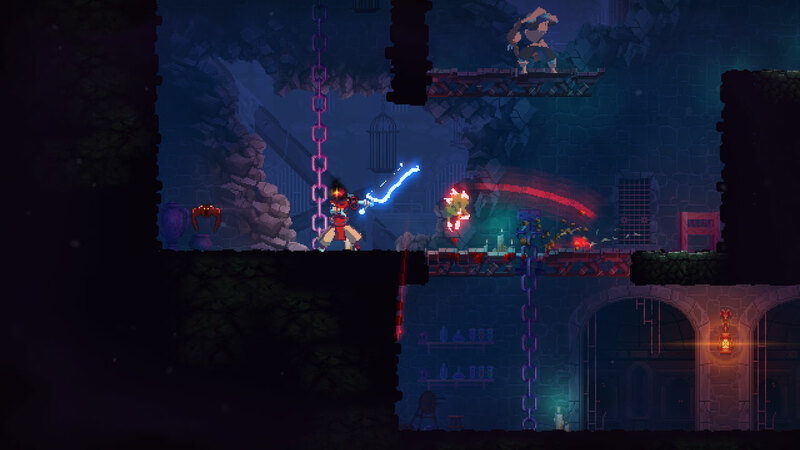 Dead Cells may be exquisite in many ways but, above all else, Dead Cells is fun. Should You Play Dead Cells? Dead Cells is a top-tier game that is as rewarding as it is challenging. The sheer amount of choice for the player to play their way is exceeded only by how exquisite the movement and downward smash attacks feel. I don’t think Dead Cells revolutionises rogue-lite games. Instead, it takes much of what has been done before but executes those ideas better than its predecessors. Though I have an affinity for certain other games, Dead Cells is the best playing rogue-lite I’ve had the pleasure of taking on. Rogue-lite fans will find a lot to love. If you’ve ever loved Rogue Legacy, or even the “Metroidvania” namesakes – Metroid and Castlevania – and want something that feels incredibly smooth, Dead Cells is, without a doubt, for you. Providing you have the patience for run-based gameplay. You've read our review, and maybe a few others on this title. Are you interested in getting Dead Cells? Have you already played it? Game Reviewed: Dead Cells (digital edition, provided by the publisher). 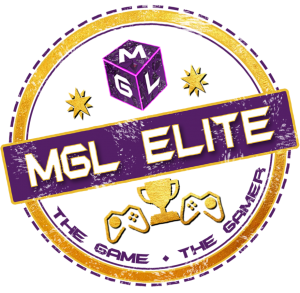 This game has been awarded MGL Elite, our highest review award for the best games that we think every gamer should play. Our rarity rating system is a little like loot, and games in this category would be traditionally scoring 95 or more.